These fabric bowls have a very unique shape. They are approximately 10 1/2" across, 3" deep, and have a 6" square base. 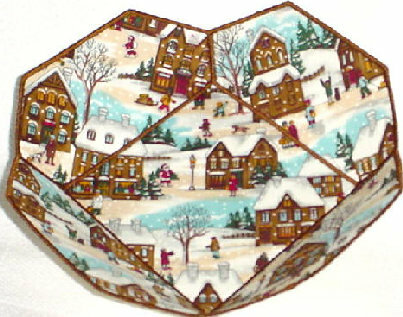 They make a great holiday napkin holder, nut bowl, or candy or cookie bowl. 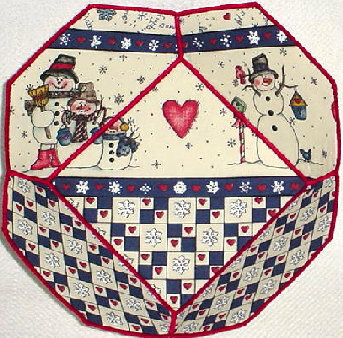 Other shapes, sizes, and holiday fabrics (prices vary) are available. If you need anything before then, please contact me.